If you missed California’s first super bloom in Anza Borrego Desert State Park and Walker Canyon (maybe you just wanted to avoid the mayhem that ensued and we don’t blame you), or if you just want to have more flowers in your life, this news will be most welcome. According to Travel & Leisure, another wildflower bloom is projected for the state this summer. 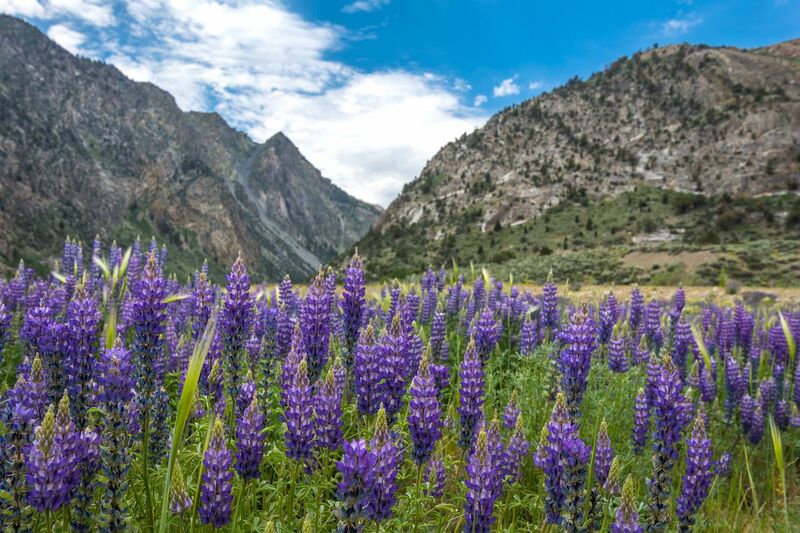 Rare plants and yellow, orange, red, and purple wildflowers are expected in the Eastern Sierra, such as the elevated trails of Mammoth Lakes. The San Bernardino Mountains, just outside of Los Angeles, can also expect a wildflower surge. In the Mammoth Lakes region, there are plenty of hikes that will take you through the wildflower blooms, including the Agnew Meadows Wildflower Loop and the Mammoth Mountain Trail. At Big Bear Valley, further south and east of LA, visitors can see the wildflowers on a guided wildflower hike led by a botanist and volunteers from the Southern California Mountains Foundation. The area is home to over 20 endemic wildflowers not seen anywhere else in the world. Free guided hikes are available on weekends, and there’s also a half-mile self-guided interpretive trail with educational markers about the rare flowers. Some plants have already started to peek through, though it’s still quite early and the best is yet to come. As usual, if you go and check out the blooms, make sure to stay on the trails to save the plants from being trampled on and don’t pick any.